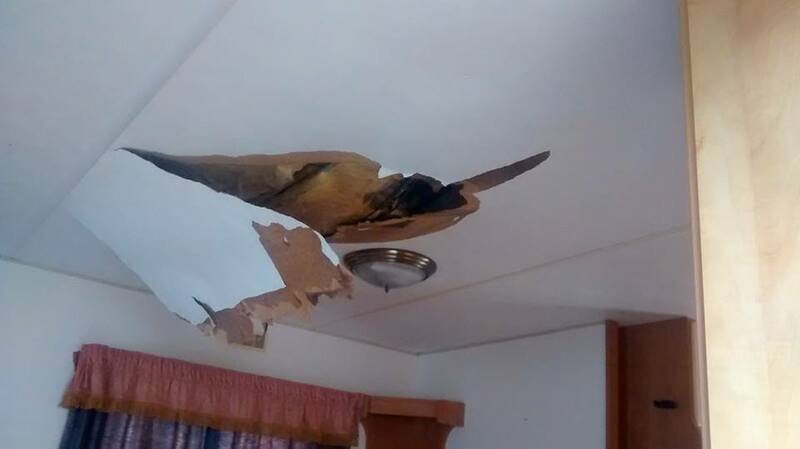 Do you have a damaged interior wall board or ceiling board and really want to get it Replaced...? 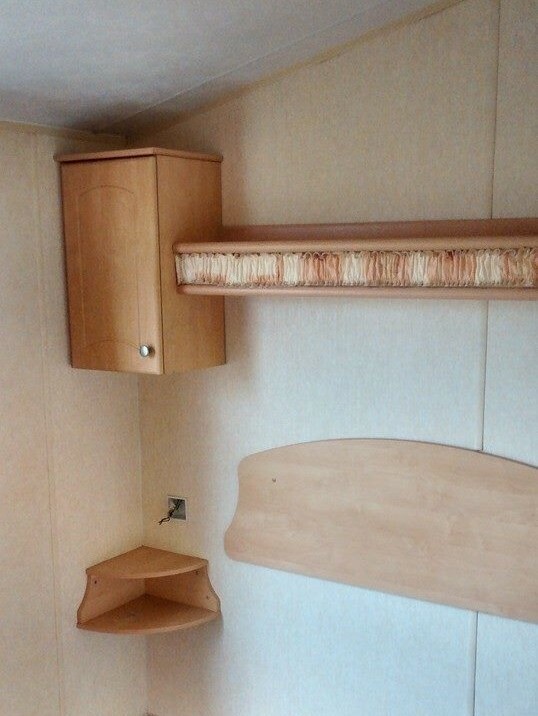 We can supply & fit any type of wall or ceiling boards in Any Model Static Caravan. 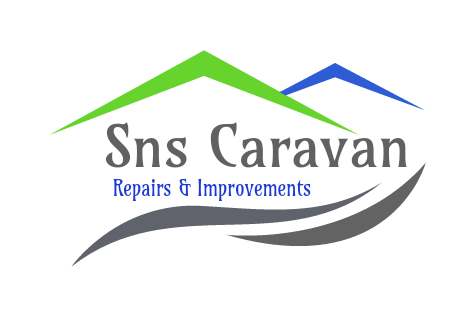 Once we complete the task of Removing and Replacing your Caravan Internal Boards you would never know any damaged was even there. 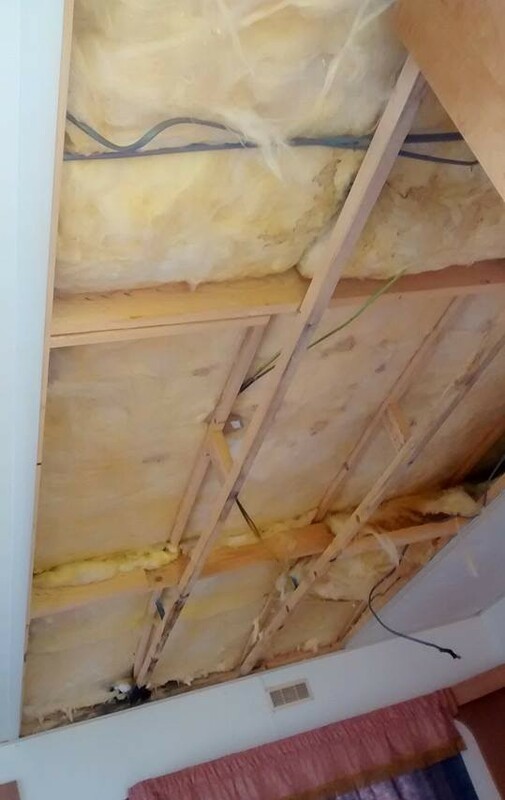 Our boards are specifically designed for Static Caravans so visually and technically your New Wall Boards or Ceiling Boards will look great, as always our work is to a High Standard. 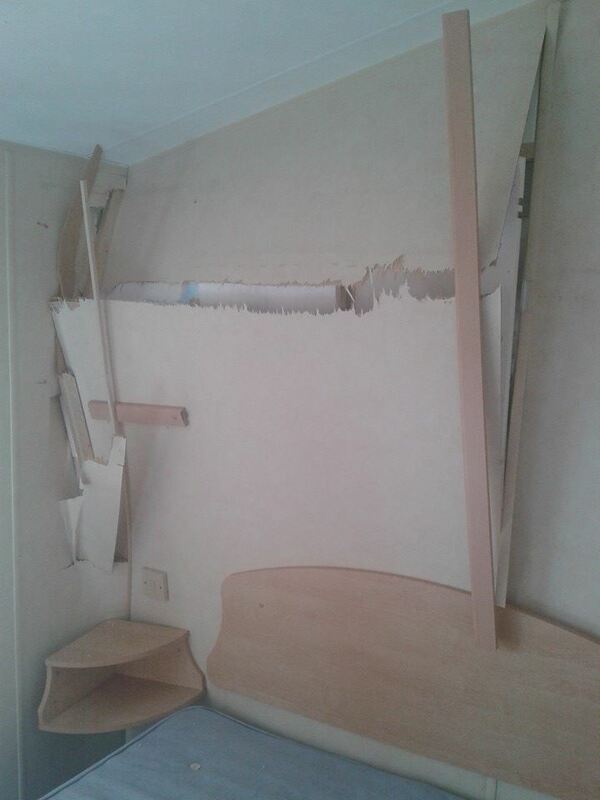 If you are wanting a new look for your caravan then this could be a great start...we are able to reline your existing Caravan Wall Boards and Ceiling Panels with a New Colour or Design Paper. Please contact us with your ideas and we talk about what we can do for you. 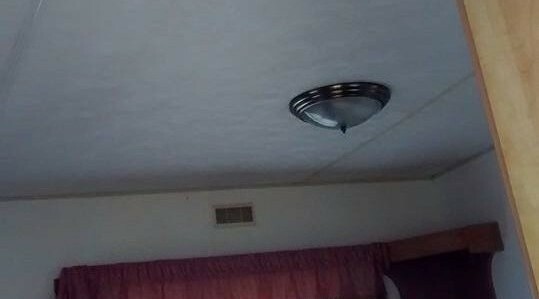 Below Are "Before & After" Photos Of Just Some Of Our Recent Work. 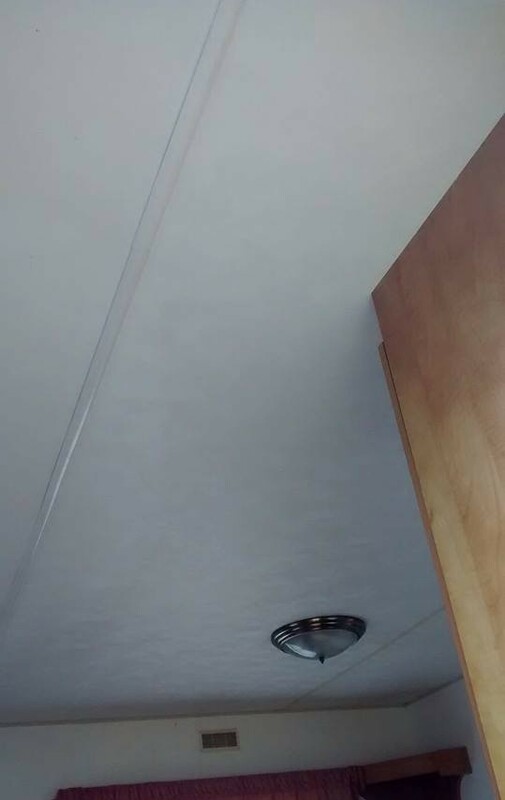 We Supply & Fit Any Type Of Wall or Ceiling Boards In Any Model Static Caravan. This Can Be A Weight Off-Your-Shoulders Once Repaired. Or A Huge Positive Change To The Look Of Your Static Caravan Inside. Looking Great, You Would Never Know There Was Damaged Before.